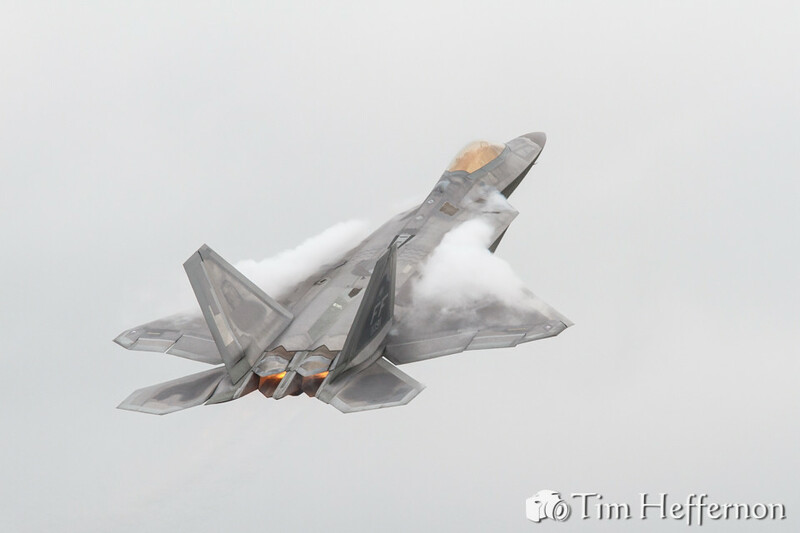 The United States Air Force sent this F-22A Raptor of the 1st Fighter Wing to take part in the flying display at the Royal International Air Tattoo at RAF Fairford in July 2016. The F-22A is a stealth air superiority fighter produced between 1996 and 2011. Its twin engines feature pitch-axis thrust vectoring nozzles for high manoeuvrability, and it is currently one of only a few aircraft that can supercruise, where supersonic flight is maintained without the use of afterburners. A high production cost, lack of relevant adversaries, and a ban on exports under American federal law to protect its stealth technology led to only 187 operational aircraft being built.